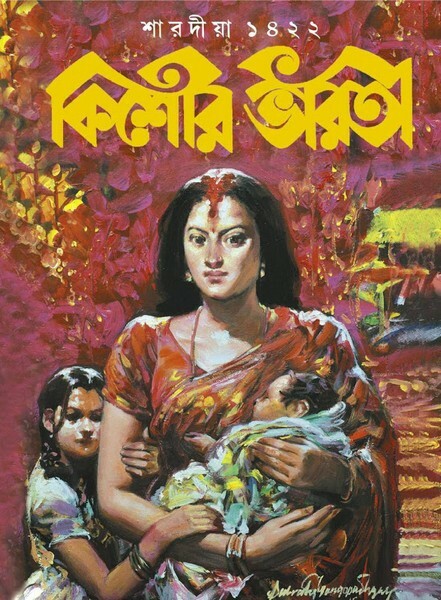 Kishor Bharati 2015 (1422) is a special Puja edition for Bengali children. Mostly it is a monthly magazine but this special edition published before every year of Durga Puja fastival. Disclosed by Patrabharati from Kolkata. This issue's cover picture drawing by Subrata Gangopadhyay. Cover stories are many Unpublished Novels like Banshibadan Jindabad by Shaktipada Rajguru, Ramvarosar Motor Gadi by Profullo Roy etc. The magic of poetry, many more topics. View or Read this full magazine.